Laboratory Testing | Geo-Technology Associates, Inc.
GTA provided geotechnical explorations, laboratory testing, geotechnical evaluations and reports, environmental consulting, and construction observation and testing services (COTS) for this 100-acre, 1.2 million-SF residential, retail, and commercial development, located at the site of a former sand and gravel mine reclaimed with fly ash. Site issues encountered included: fly ash fill, loose fly ash, uncontrolled fill, a stump dump (methane), a deep mined hole, a tall retaining wall on uncontrolled fill, an existing deep sewer with poor backfill, and a proposed deep sewer close to a building. GTA researched and developed recommendations for low permeability asphalt pavement to provide a permeability of 10-7 cm/sec or less. GTA also performed test strips, obtained core samples, and performed laboratory testing to verify mix design and assess constructability of the asphalt pavement. Low permeability concrete was also used at the site. 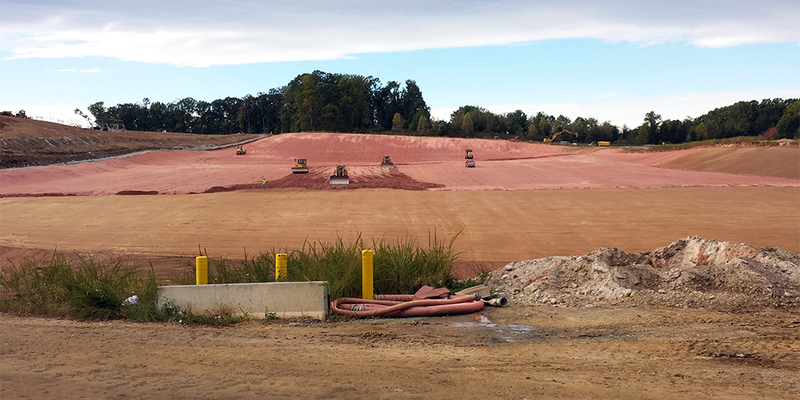 The new site development forms an impermeable cap to reduce surface water infiltration into underlying fly ash fill. 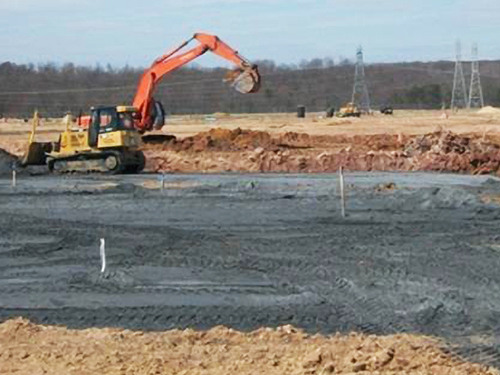 GTA’s COTS included monitoring of earthwork (portions of which were performed within fly ash fills) including construction of stormwater management facilities, mass grading, and underground utilities. Also responsible for observation of construction of a low permeability cap including clay soils, low permeability asphalt and concrete, and construction of foundations, structural steel framing, and masonry. Cell N-1 – GTA performed the QC Observation and testing services during grading of a 12+ acre, solid waste municipal landfill cell. Services included field density testing, sample collection and laboratory testing for classification, moisture-density, and permeability, and in situ field infiltration testing consisting of double ring infiltrometers. Laboratory testing services included index testing, direct shear, and permeability of the soils used during liner construction and general fill operations. 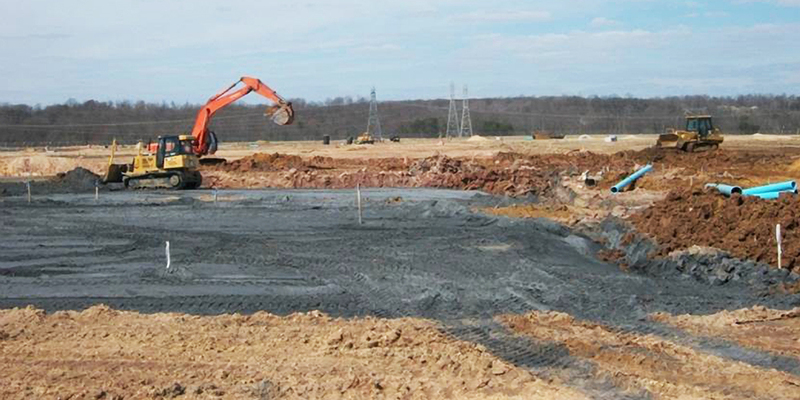 Cell N2 – GTA performed a geotechnical exploration and provided recommendations to facilitate the design of the referenced landfill 12+ acre cell. Services included SPT borings, geophysical transects, laboratory testing of soils, to evaluate the subsurface conditions and map the rock surface elevations. During construction, GTA provided services as the full-time resident project representative (RPR) to observe that construction was being performed in accordance with the plans and specifications, and the find resolution as problems arose.of a new access road. Services also included the design of a reinforced soil slope and new access road along the limits of the cells. During construction, GTA provided services as the full-time resident project representative (RPR) to observe that construction was being performed in accordance with the plans and specifications, and the find resolution as problems arose. GTA provides full depth reclamation (FDR) mix design testing for a variety of clients on a master service contract basis. FDR is a process that is used to upgrade distressed pavements for roadways and parking lots. 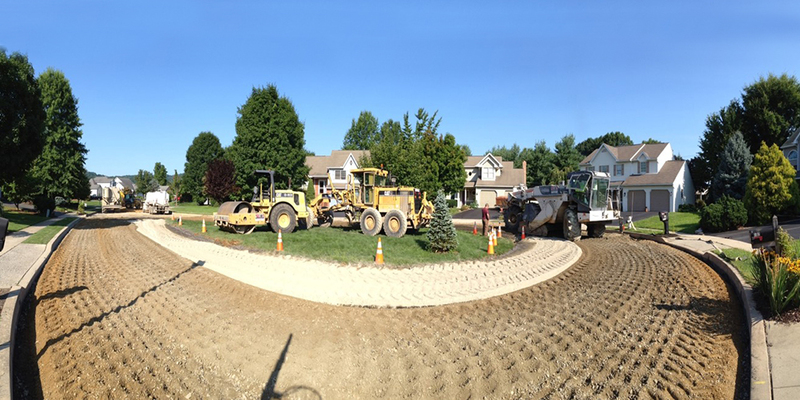 The FDR process involves pulverizing the existing asphalt, aggregate base and subgrade soils and mixing them with cement and water. 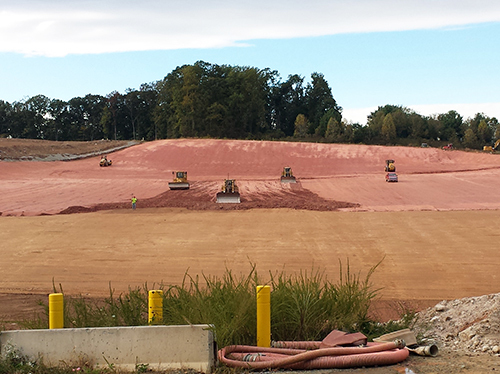 This material is compacted to create a new subbase layer that will support the new asphalt pavement. This “green” process produces very little waste and is often more economical than conventional methods of overexcavation and replacement. 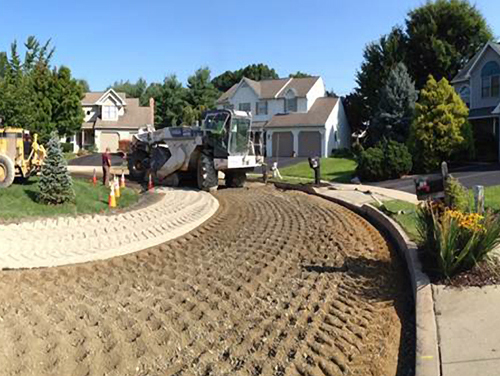 The FDR process is used for rural and urban paved roadways, parking lots, storage lots, and unpaved roadways. The laboratory process involves grain size and plasticity limits of soil, California Bearing Ratio testing, moisture density of the FDR mixture, FDR mix design on samples mixed with three different percentages of cement, and unconfined compressive strength testing on the samples of FDR after a cure period of 7 days. Additional testing is often performed to evaluate particular constraints including freeze-thaw, durability, wet-dry durability, low temperature curing, and short-term strength development. GTA’s master service contracts are held with numerous specialty contractors and civil engineers, as well as major energy companies including Chesapeake Energy, American Energy Partners, and Antero Resources. Since 2010, GTA has performed FDR mix design testing for over 700 miles of roadways in Pennsylvania, West Virginia and Ohio for the oil and gas industry. GTA also provides routine testing for municipal, state, and private clients in the Mid-Atlantic region.